I hope you had a wonderful Thanksgiving and were able to use your Gratitude oil to be grateful for every moment. Popping my Inner Defense pills like crazy over here to stay 100% healthy! They have made a HUGE difference. Have you tried them? What has been your most effective product for staying healthy this winter? Star or flag this email so you can reference back to it all month long! 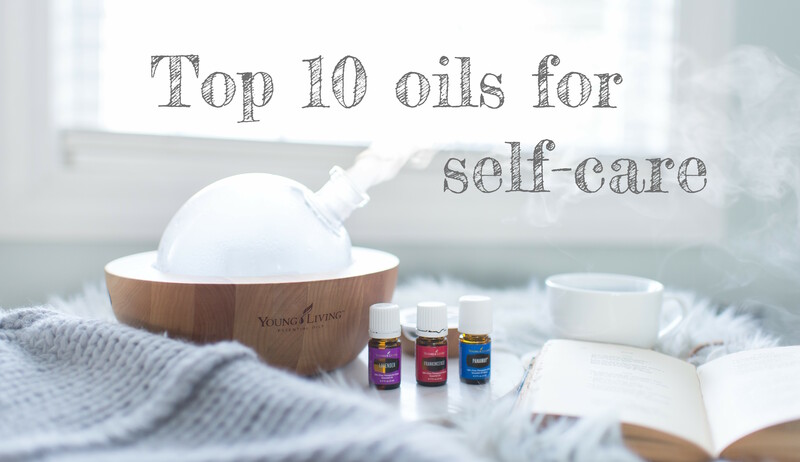 10 oils for Self-Care – Don’t skip this part! NingXia Red: Explore fun and creative ways to take your NingXia Red while learning about all the health benefits of this nutritional supplement drink. New Year to Wellness: Get simple lifestyle changes for you to incorporate daily in the new year! Be sure to LIKE and Follow our page. Lemon: Diffuse for a clean uplifting scent. Lavender: Apply to feet and diffuse before bedtime. Frankincense*: Diffuse or apply to forehead for grounding, meditation, or prayer. Also, add a drop with Lavender to your face moisturizer for a youthful appearance. * Free 15 ml Frankincense this month when you place a 400 PV order! PanAway: Apply to feet after a long day. Raven: Diffuse for a SPA experience. Use on your chest before and after exercise. Thieves/Thieves Vitality: Diffuse Thieves for a peaceful cinnamon winter scent. Add a drop of Thieves Vitality to your daily NingXia Red* to support your immune system. *This stuff is a game changer for daily living. If you want more info, respond to this email and let me know! Copaiba: Diffuse or apply for calming and relaxing your body. Citrus Fresh: Diffuse for a calming and uplifting atmosphere. StressAway: Roll on your wrist and inhale whenever you feel occasional stress! Do these oils look familiar? You should have them! =) If you use all these daily, you will DEFINITELY feel taken care of and relaxed. Joy has a beautiful floral scent. It is a blend of Bergamot, Ylang ylang, Geranium, Lemon, Coriander, Tangerine, Jasmine, Roman chamomile, Palmarosa, and Rose. This time of year can be especially overwhelming and busy. Whether you are a stay at home mom or dad, hold down a corporate job, or are building your own Young Living business, Joy oil will keep your spirits lifted and is sure to carry you joyfully through the end of the year. Add 3-4 drops of Joy essential oil to your diffuser or a drop onto your diffuser necklace and bracelet to uplift your mood. If you are feeling sad, USE THIS OIL! Dilute or use fewer drops if the scent is too strong. THE YL PROMOS ARE AMAZINGLY GOOD! 15 ml Frankincense: I already talked about this one under “10 oils for self-care.” This one is pricey, so any time you can get it for FREE, TAKE ADVANTAGE. YL is so generous! D. Gary Young: The World Leader in Essential Oils book: Reflect on our foundations. This impactful book, written by Young Living Co-Founder and CEO Mary Young, gives an expansive overview of the life, passions, and achievements of Young Living Founder D. Gary Young. 5 ml Gathering: Bring loved ones together. When diffused, it provides a tranquil and welcoming space for everyone. 5 ml White Angelica: This oil protects you from negative energy around you. Put a drop or two in your hands and glide your hands over your entire body as if you are covering it in a shield of White Angelica and then enjoy the wonderful scent! 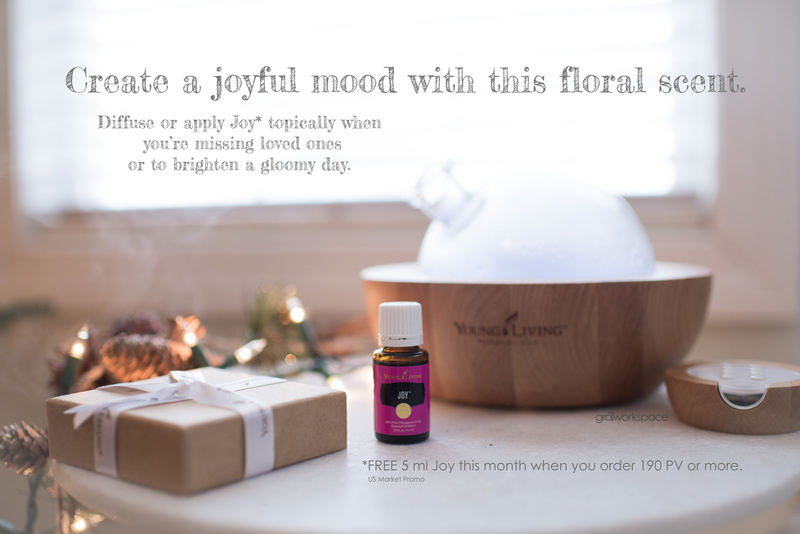 5 ml Joy: The featured oil of the month in this newsletter! See the details above! 15 ml Pine: Fake tree this year? Bring the pine scent into your home by diffusing Pine oil. 4-6 drops in the diffuser should do it! 5 ml Lemongrass Vitality: Add 1-2 drops to a vegetarian gel capsule and take as a dietary supplement to support your overall wellness. *Receive these two oils when your 400 PV order is placed through the Essential Rewards program, which is the best way to save money and support your health. If you need more details on this, let me know! 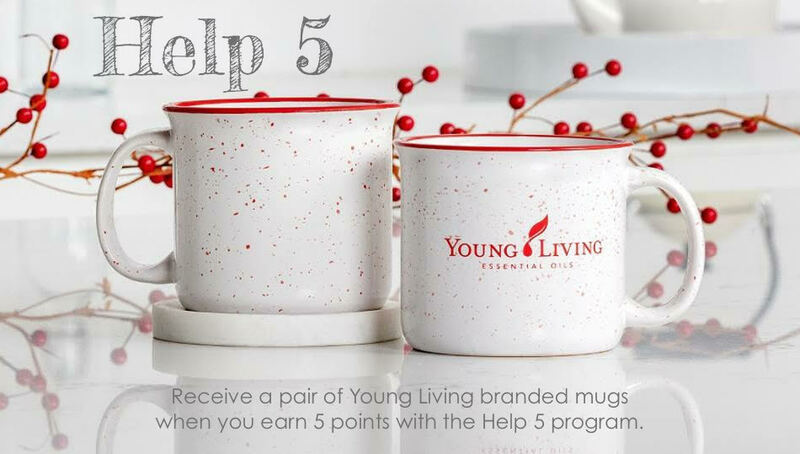 When you earn five points, you’ll receive two festive YL-branded mugs in white with red speckles.